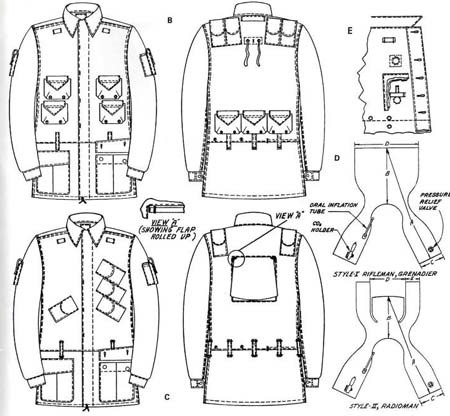 This is a genuine Navy SEAL "Float Coat" this was the improved version of the earlier "Snap Vest", the main changes were built in sleeves, smaller pouches on the sleeves for first aid dressings/compass and the production of the coat in 3 versions; Rifleman, Radioman and Grenadier (the latter two shown in the diagram below). 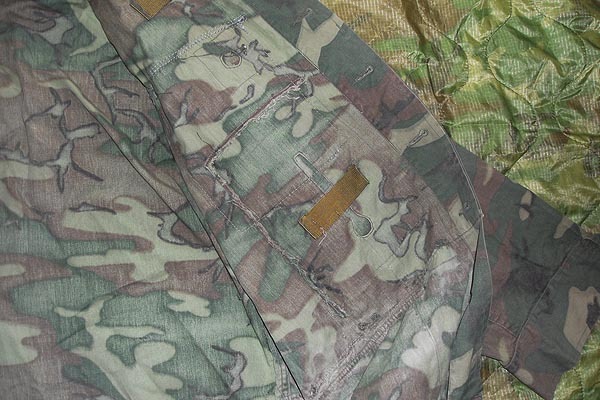 In use many jackets were modified by turning them into vests by romoving the lower pockets and sleeves to make them easier to jetison in an emergency. 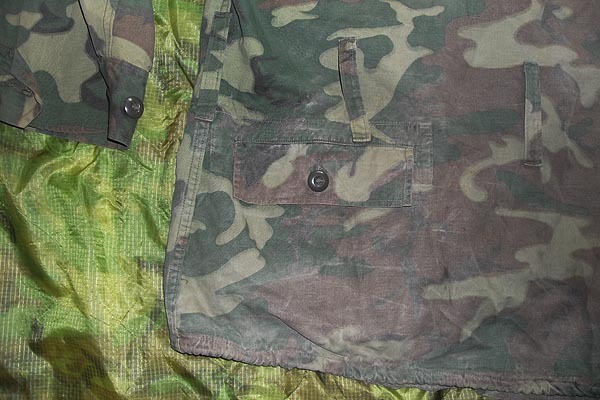 The Radiomans version was very unpopular as you had to remove the radio to remove the jackets, the floatation bladder was also cut-down on this version and didn't support the extra weight of the radio. 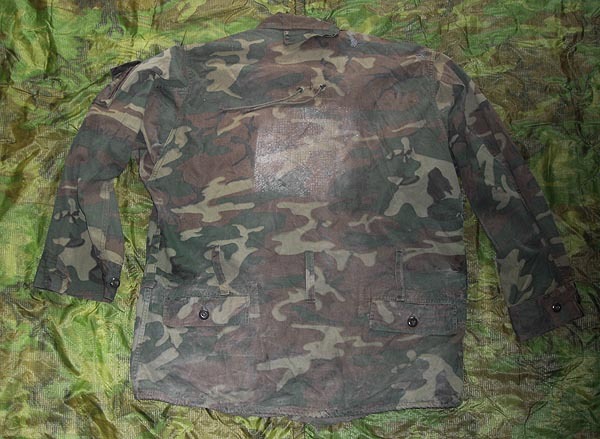 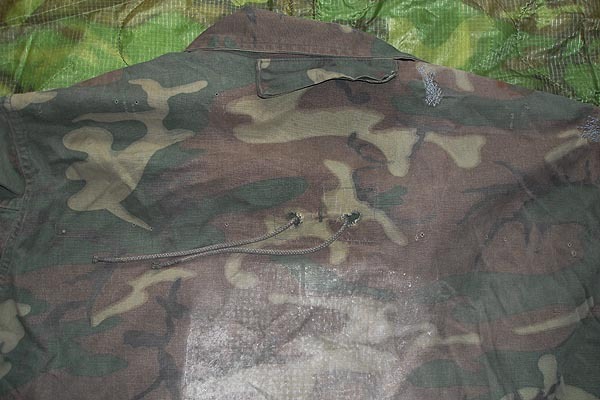 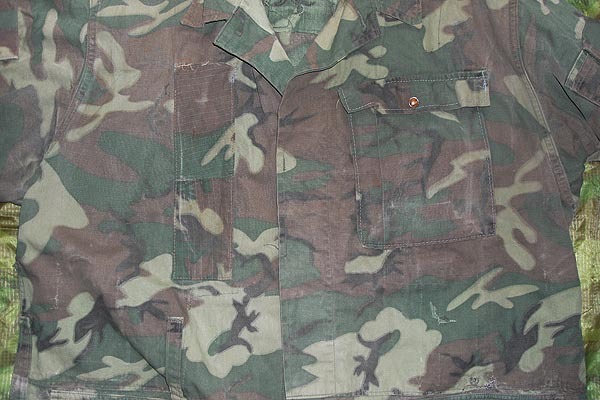 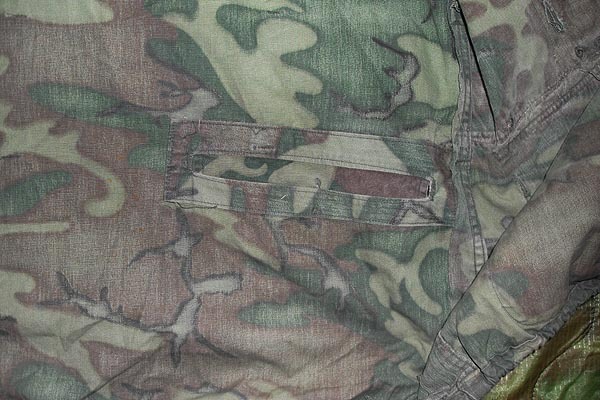 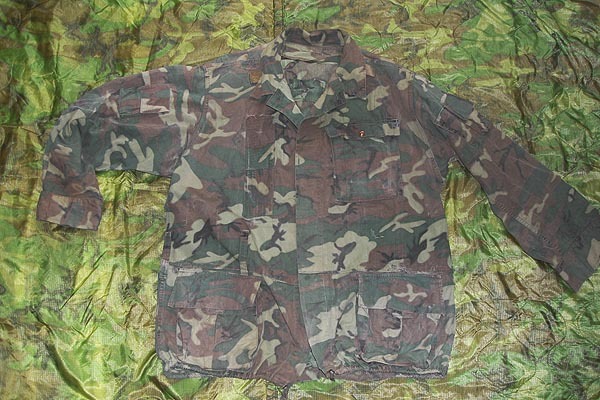 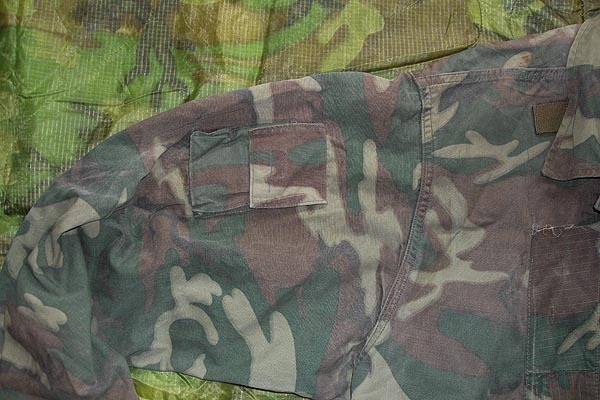 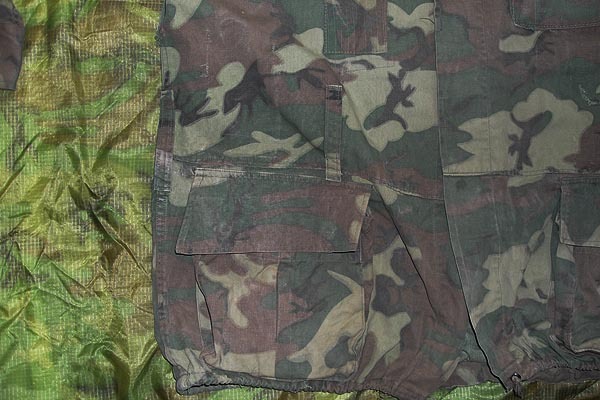 This jacket is a poplin version and has been heavily modified, it was originally a Rifleman model and has had all the pockets removed and what seem like pockets for a radio aerial paced on the front.